Tonight’s line-up for the live stream features Bakermat, Oliver Heldens, The Megamix & Mr. White, Fedde Le Grand and Laidback Luke. The live stream will be hosted by the Dutch-Canadian duo Johnny de Mol and Liz Walaszczyk. Sensation has been presented in more 30 countries worldwide and welcomed over two million visitors over the past 15 years. It’s pulling out all the stops this year to celebrate this special 15th anniversary edition as all the magical moments from past shows are being combined to create a brand new show that aims to tantalise all the senses. 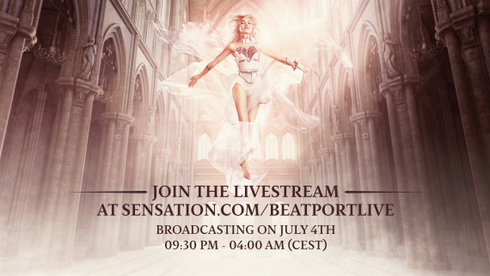 Unlike previous editions of Sensation, ‘The Legacy’ will not be going on tour, which means it is a one-off edition, so if you’re at home, make sure to tune in.